AMD just release a new WHQL driver Catalyst 12.4 WHQL for it's latest AMD Radeon Graphics products, supporting the latest HD 7000 series including the new HD 7900M GPUs for mobile platform. 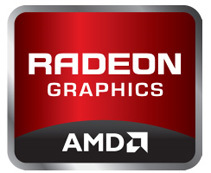 The new driver edition come with an enhanced visual quality for Radeon HD 7700, 7800 and Radeon HD 7900 line, improving LOD and texture filtering, in addition to a small performance improvement for the rest of products including the HD 6000 series, this driver is recommended for all supported Radeon products. - Stalker - Call of Pripyat: flickering is no longer observed in trees with specific Catalyst Control Center settings.